Specialists in the processing of display, industrial and engineering plastics covering the whole of Wales. 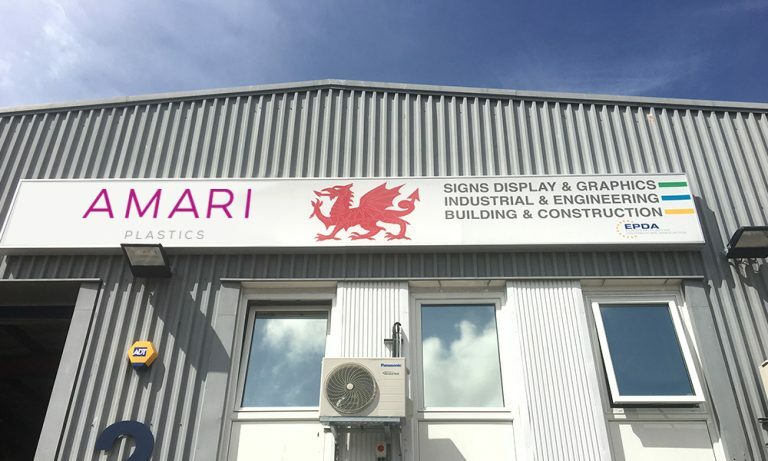 Based in Cardiff, Amari Plastics South Wales has been specialising in the distribution and processing of industrial, display and engineering plastics to Wales since 1987. With over £500,000 worth of stock ready for your project, standard sheets or cut-to-size available, and delivery throughout Wales, we are your first choice for all your plastic needs. We would be pleased to provide any technical or application guidance that you may need. This is backed up by our branded suppliers who are the market leaders in their products, ensuring quality and reliability, and of course, pre- and after-sales support. Please give our team a call, or visit our trade counter, any time from 8am-5.30pm, Monday to Friday. We’ll be delighted to help.